Nolan’s durable push cars offer a 10,000 lb. load capacity. 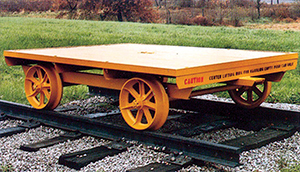 The structural-steel frame makes the push cars extra strong to handle the tough working conditions of the railroad industry. 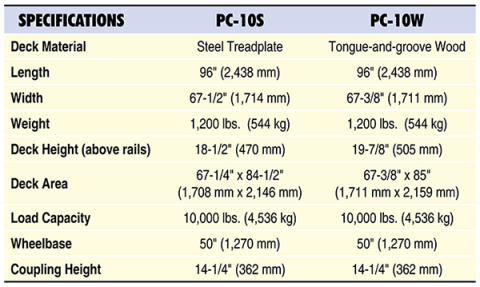 Built for standard 56-1/2″ (1,435 mm) track gauge. Our engineering staff can design and custom-build push cars for your specific applications to handle capacities up to 40,000 lbs. Call us toll-free at 1-800-297-1383 or e-mail us for details.